Our newest and largest water slide! This is a 22ft tall waterslide with a large pool at the bottom. 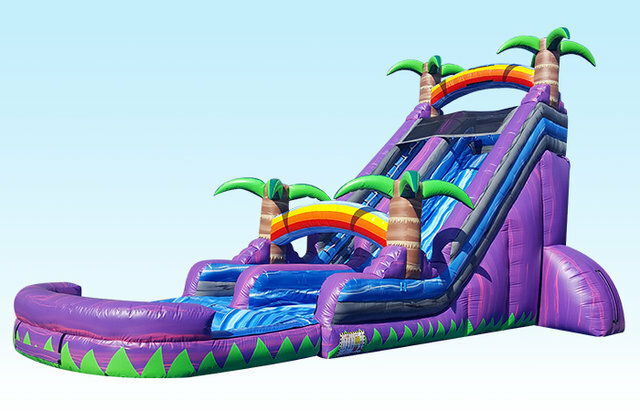 The slide features a vivid purple primary color with palm trees and rainbows, sure to be a hit in the hot summer months. Tropical Purple Paradise not only looks amazing, it is AMAZING! Fun for the whole family!